Maddy Carson is a mass of contradictions. She loves her job as Script Supervisor on a hit TV show, but hates 'Hollywood.' Super-organized and down-to-earth, Maddy is clearly one of the best at her job, and her strict dating rule - 'No Actors!' - helps her keep focused on her career. However, a budding relationship with Craig, one of the executives at her company, may even propel her into the big leagues. Could Wolf County, her beloved hometown in the mountains, be saved from a financial crisis by creating a reality show featuring the eccentrics in the small ski village? Maddy is determined to try, even when she learns that Craig's agenda doesn't exactly line up with her altruistic goal. Meanwhile, Maddy still has a full-time job to manage, her family to deal with, and a gorgeous new actor, Adam Devin, determined to wear down her resistance. Eventually Maddy must learn to break all her self-imposed rules and simply follow her heart. 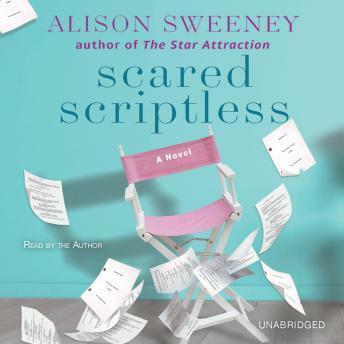 Scared Scriptless offers an engagingly relatable heroine, laugh-out-loud humor, and a fascinating behind-the-scenes look at how television is made.